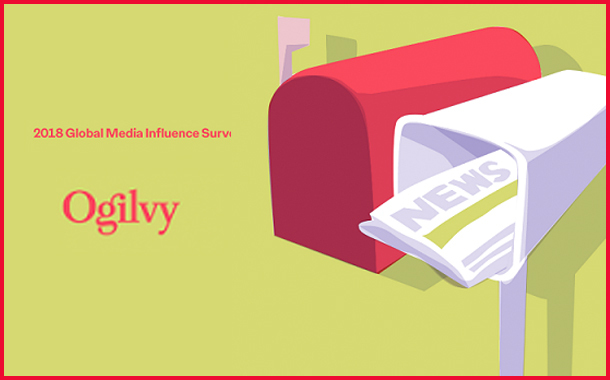 Ogilvy announced the findings of the second half of the 2018 Global Media Influence survey. The survey found that nearly 60% of Journalists worldwide believe that local media must adapt to the changing environment or face extinction. Similar to global media outlets, local journalism has been significantly disrupted by the advent of new digital technologies and behaviors. “They have an opportunity to survive and thrive because local news stories make them unique,” said Jennifer Risi, Ogilvy’s worldwide CCO. “But you have more syndication than ever before … and they can find themselves in trouble,” she said, adding that creating content that can’t be found elsewhere is considered key to local media’s long-term survival. Risi, who heads Ogilvy’s media influence team, said the finding is a first in the five-year history of the survey, which, this year, is based on a 10-question poll of 363 journalists across North America and the Asia-Pacific and EMEA regions. Whether journalists believe there is value in saving local media, however, depends on whom you ask. Other key findings include around 31% of surveyed reporters from all three regions believing that the most successful traditional media platform to adapt in an increasingly digital world is television. Yet, the report also found that, between consolidation and digitalization of media, defining different mediums is increasingly difficult. Nearly 43% of respondents believe streaming services will be the top channels within five years, followed by news feeds and podcasts. Risi said the findings show that big-name news outlets — the New York Times and CNNs of the world — are capturing larger audience share, meaning they also have more influence than ever, which is a key takeaway for communicators wanting to reach a range of target stakeholders.